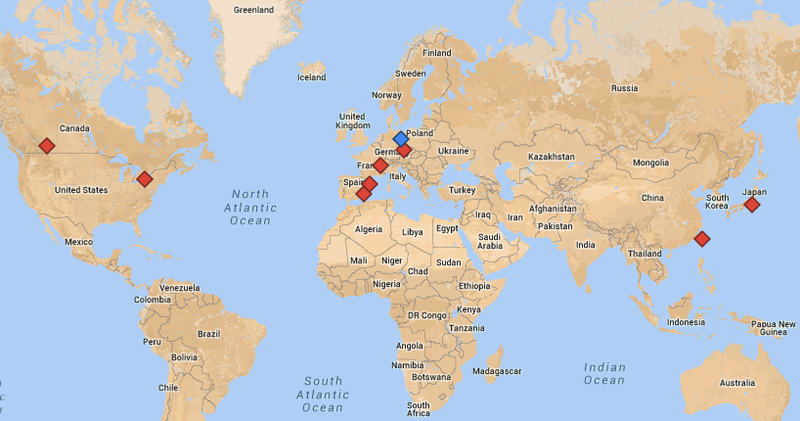 This June, our team is a little more spread out than usual. Actually, not a single one of us is currently in Berlin! Chuck is currently in Geneva, Switzerland, where he’s teaching Esperanto to students who are visiting from Princeton University. Zach is staying in Buffalo, USA this summer as he is taking chemistry classes (out of interest), and staying in touch with everybody remotely as always. Marina is in Dénia, Spain, to visit her parents and just graduated university there. Congratulations! Anna is going to Spain, too, but Barcelona. She’ll stay there for a few days to check out the city and enjoy the ocean, and may continue to travel to France and/or Italy afterwards – plans are currently in development! Ulyßes is in Prague for both work and recreation, before heading on to Taipei and Tokyo. Marleen has relocated to Canada to explore the country and engage in new fun projects while supporting Ludisto remotely. Luckily, with all the technology we have today at our disposal, you don’t have to decide whether to work or travel – even if you like to move around the planet a lot, you can still easily stay in touch and continue to work together.